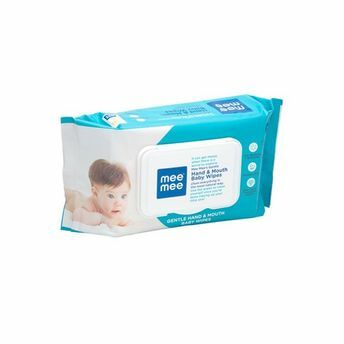 These baby wet wipes are gentle enough for your baby's hands and face and being coupled with a soothing scent, making you want to hold her even closer to you. Each package contains around 80 wipes which means that it lasts a long time so you need not worry about being left without them. The packaging makes it easy to carry around, be it in your hand bag or your baby's diaper bag. You shall never be left unprepared again! Enriched with Jojoba Oil and Aloe Vera Extracts which keeps skin moisturized. Made of thicker and softer spun lace non-woven fabric. It is anti-bacterial, hypo-allergenic and free of alcohol. Instantly cools and cleanses baby. Comes with a protective lid cover for double protection. Very convenient to carry in handbag and diaper bag. Easy to clean baby after mealtime, playtime, while traveling or during diaper change.